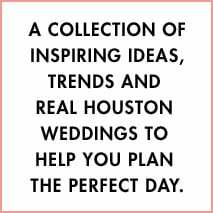 We are so thrilled to have expert makeup artist Sergio Escalona of Houston’s L’Atelier De Artonit on the blog today, with his tips for wedding day (and evening-out) makeup that looks effortlessly natural. 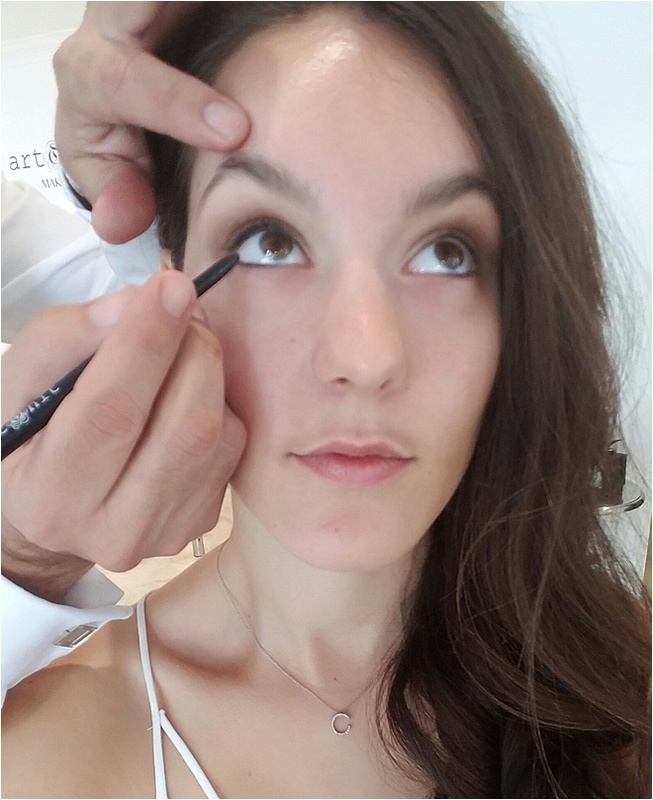 Check out his tutorial below…and then check out L’Atelier De Artonit to schedule your consultation for flawless, professional wedding day makeup for you and your bridesmaids! Make sure to get plenty of rest, adequate diet and keep yourself hydrated before your wedding day. This will help your skin to look at its best. Shape your eyebrows a few days before the wedding to avoid inflammation and redness. Sleep with a mask of your choice (depending on your targeted needs), and moisturize your face and under eyes right before starting your makeup application. 1. Eyes first! 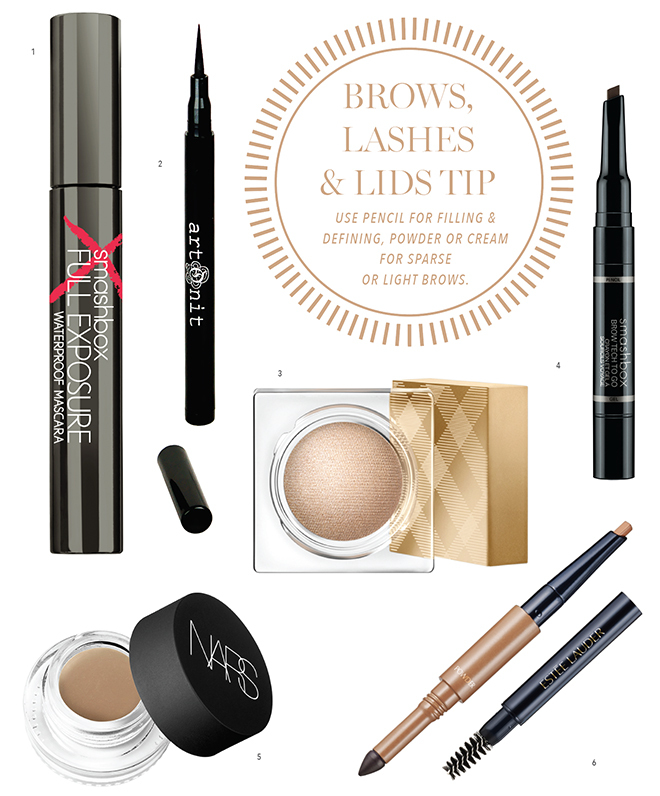 This will save you some time, as excess eyeshadow will fall under the eye while applying. If you have face makeup on before, you will have to clean up and reapply. 2. Choose three eyeshadow shades: A shade close to your skin tone, a medium-deep shade for contrast (not dark), and a medium shade. Make sure they do not have a metallic or pearly finish. Use semi-matte eyeshadows for a more subtle look. If you want to achieve a romantic look, use a shimmery eyeshadow. 3. Use a shadow base on the lid and proceed to apply the base color all over the eyelid. Apply the medium-deep shade on the lower lid and the medium at the crease to diffuse both colors. 4. 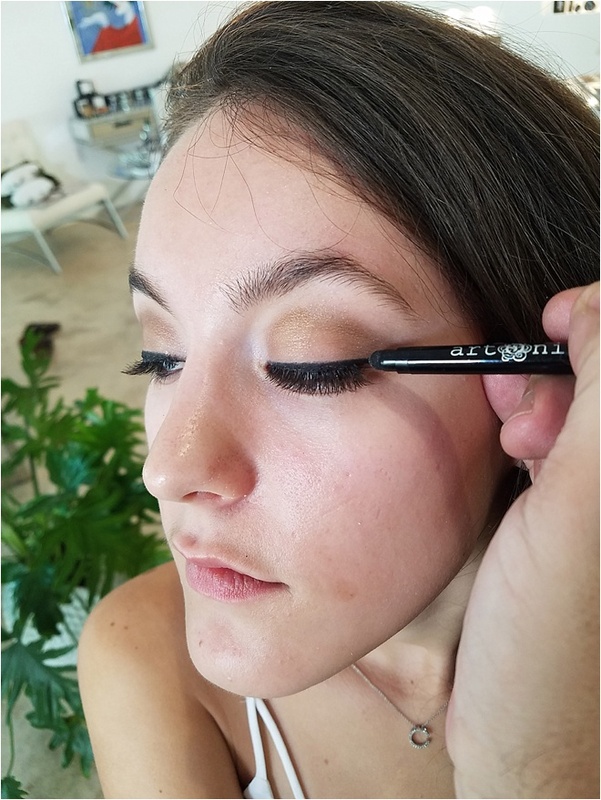 Apply waterproof eyeliner on the upper eye waterline close to the lash line. 5. To open up your eyes and give them a flirtatious look, apply false eyelashes. Avoid extremely long or tapered ones. 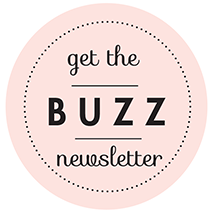 Look for faux lashes that are a hint longer than yours, and made with human hair. Make sure the lash band is invisible. 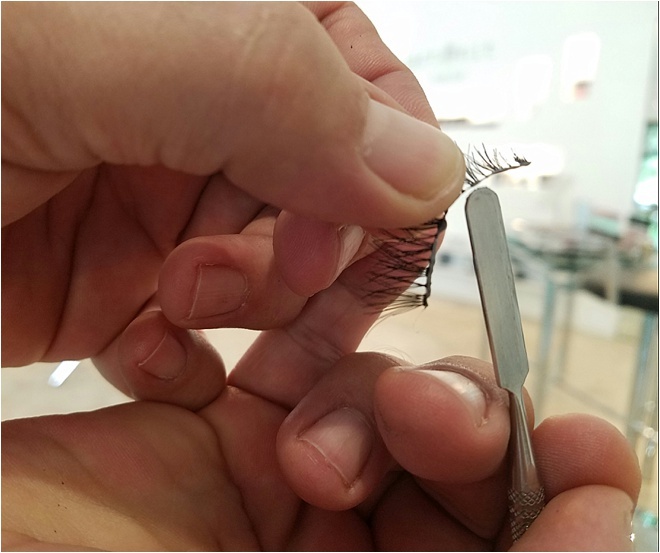 Tap a little glue to your lash line and to the lash band as well. Wait a few seconds and proceed to apply. Work on one eye at a time. Dark glue will work better than a white or clear, so that when it dries it blends in with your liner. 6. Apply eyeliner on top of the lash once it has dried and gently smudge. 7. Time to clean up. Use a wipe and clean under eyes. 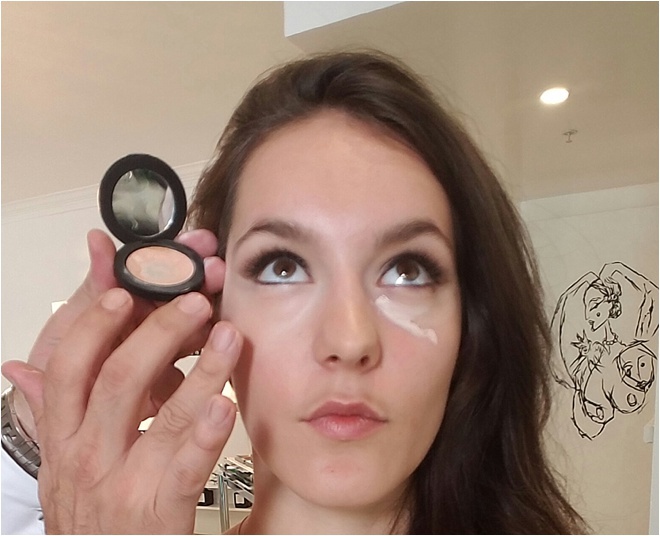 Make sure to clean 45% of the outer corner to enlarge and lift the eyes. 8. Apply a light concealer in the inner corner of the eyes and one close to your skin tone under eyes. Start dabbing and blend both colors for coverage. 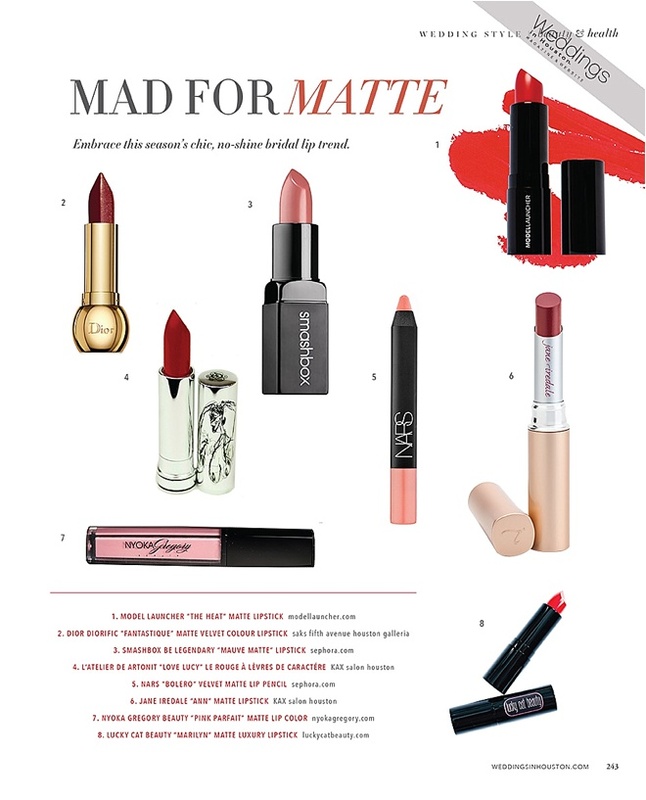 This gives you an overall well-rested look. 9. Proceed to apply the foundation. Traditional makeup works best for daytime and outdoor weddings while airbrush is more likely to go under the radar at nighttime. Avoid excessive contouring if you want to look natural. Subtle strobing is a nice touch for the natural look. 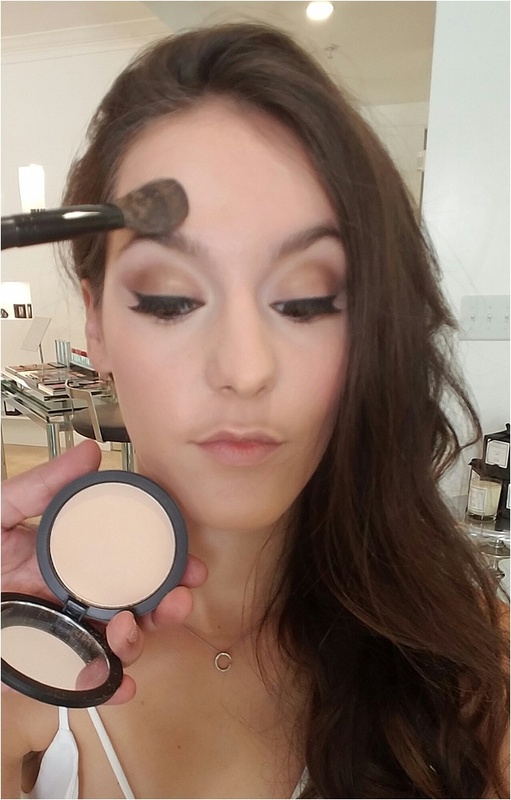 You can also use a bronzer to achieve a natural sculpting if you desire. 10. Apply powder with a soft, fluffy brush to avoid caking. The use of the sponge is always helpful at the time to take off some shine around your forehead, nose and chin. 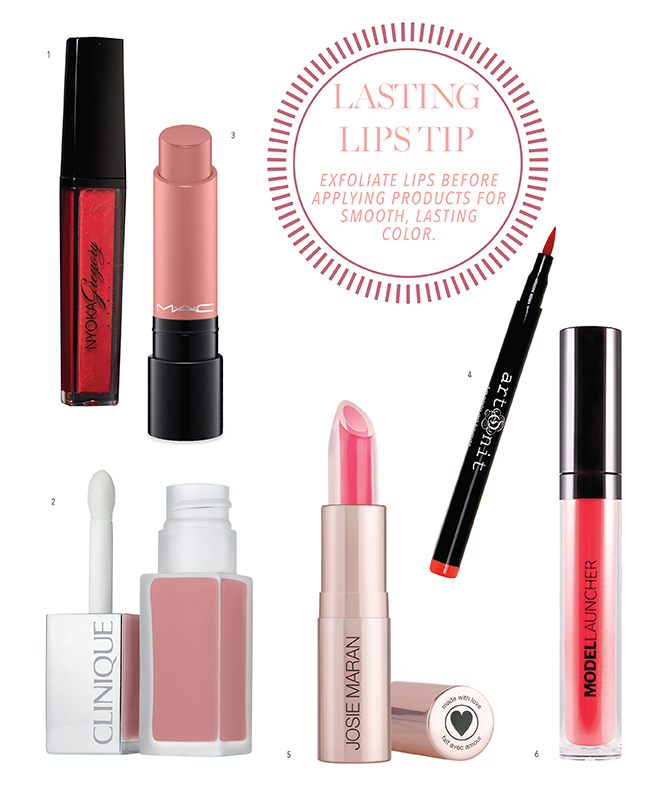 Once you’re done, apply the lip color of your choice, add one final swipe of powder to “set” your makeup…and get ready for your close up!